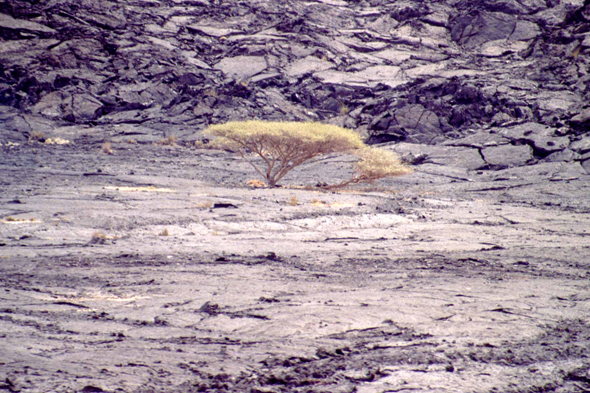 Field of lava in Ghoubbet. The earth's crust, the lithosphere, is stretched here much more finely than elsewhere where on the surface the furious ejecta of the compressed magma is piled up. Seven kilometres thickness on average against 40 to 60 kilometres in other places.